The Benet Academy Redwings basketball team is off to a strong start for the 2018-2019 season. The Redwings are 8-1 through nine games, with their only loss being an overtime thriller against undefeated York High School. 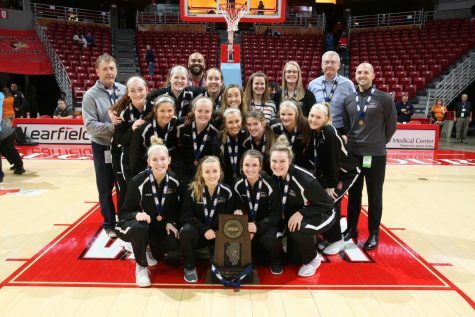 Benet is seen as one of the top teams in the state of Illinois, ranking twentieth according to the Chicago Sun-Times and ninth according to MaxPreps. 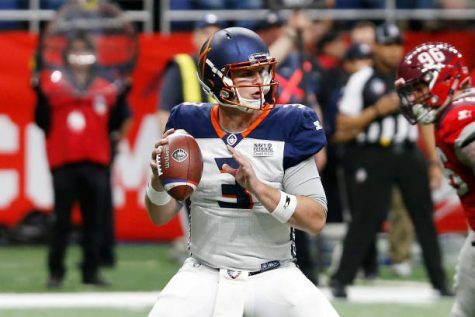 If they can maintain their current play throughout the regular season, a potential state run is not out of the question. The Redwings’ hot start to the season has been fueled by a strong offensive presence in the post. That high area of scoring can primarily be attributed to the duo of senior Kendrick Tchoua and junior Colin Crothers. One of the team’s biggest factors in strong post play is height. With six players listed at 6’5” or taller, it comes as no surprise that the Redwings have an abundance of strength down low. Another significant strength Benet possesses is experience. The Redwings currently have four seniors in their starting lineup. With Tchoua, Will Engels, Trevor Casmere and Charlie Dollard accompanying Crothers, who is in the midst of his third season with the varsity team, the Redwings clearly have the necessary experience that most championship teams have. 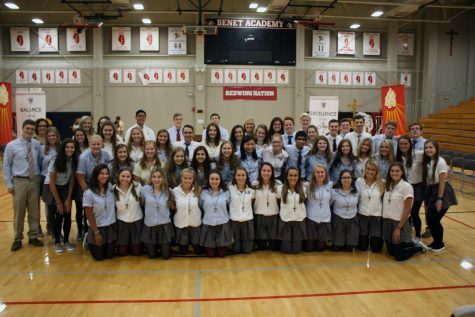 Benet’s schedule is transitioning into the second half of the season. With a pair of upcoming tournaments and the progression of the schedule within the ESCC, the final stretch of the regular season will hold many challenges. The biggest key to maintaining a good record through the final couple of months of the season is for the Redwings to retain the current level of play.